A Battle Management program to improve the reliability and maintainability of Air Force long-range radar systems recently reached full operational capability. 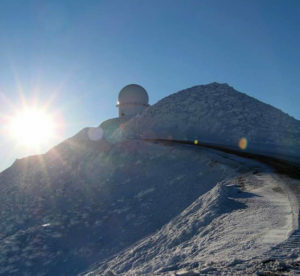 The AN/FPS-117 is a 3-D radar system that provides advanced warning and air traffic surveillance and an example of the radar system in Alaska is shown above. A Battle Management program to improve Air Force long-range radar systems recently reached full operational capability when all long-range sites were certified and deemed effective. The AN/FPS-117 is a 3-D radar system that provides advanced warning and air traffic surveillance. The Essential Parts Replacement Program replaces four major subassemblies: maintenance and control system, beacon system, uninterruptable power supply/communications rack, and local control terminals, which allow remote monitoring, troubleshooting and control of the radars. According to program officials, it also reduces the line-replaceable unit count by about 80 percent, easing maintenance and the number of parts on the shelf. “Prior to the EPRP modification, the radars, which were originally installed in the 1980s, suffered from excessive parts obsolescence and diminishing manufacturing sources,” said Capt. Nicholas Cusolito, a former program manager. 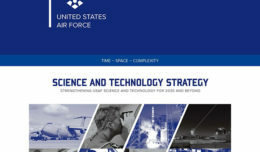 “The focus of the program was to eliminate many of the obsolete components in the radar and to ensure continued supportability through 2025 to meet NORAD (North American Aerospace Defense) mission objectives. “Furthermore, the modification provides the hardware necessary for the eventual implementation of Mode 5 (identification, friend or foe) capability,” Cusolito continued. More than 25 radar systems were upgraded, including Hill’s engineering facility, with the last site in Hawaii being returned to service in late June after all personnel overseeing operations and maintenance had been trained. As many of the sites are located in locations that experience severe weather, the teams faced many challenges. In addition, a change to the Canadian radar operations and management contractor during the middle of installs was also a challenge. According to Cusolito, the team had to shift their focus entirely to the Alaskan theater until the new contractor was in place and up to speed. He added that users in the field and the prime contractor, Lockheed Martin Mission Systems and Training, also came up with innovative solutions to obstacles faced during the installs, including how to move electronics cabinets, which weigh several hundred pounds each, up narrow stairwells without damaging the walls, cabinets or sensitive electronic equipment. Cusolito also said the improvements are showing their worth. “It was critical that these upgrades got completed in order to maintain key situational awareness for the U.S.,” he said. From here, software updates will be ongoing. Also, a contractor logistics support program will be established to continue sustainment of the system’s hardware and software beyond the current warranty period. 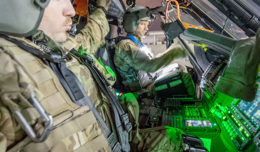 During this time, the program office will also look at transitioning to organic sustainment of the hardware to meet the Air Force’s core logistics capabilities and save on repair and replacement costs.